Spring is in the air which, at my house, means that birds are building nests and the dog is digging holes. Neither bodes well for the resale value of my house. Now that the weather is nice, Murphy insists on spending the entire day outside. It’s fine when he’s lounging on the deck in the sun or running under the phone lines as the squirrels run back and forth above his head, chuckling to themselves about the stupid dog below. But he gets bored. He wants me to sit outside with him all day, which I could easily do if I had a stack of books by my side, but there are things to do inside the house. In attempt to cure his boredom, he digs holes. Deep holes. All over the yard. I’ve invented a game to keep the dog occupied and give him such much needed exercise. Well, it’s not so much a game as it is me standing in the middle of the deck and throwing rocks. A previous owner of the house used landscaping rocks to edge the deck. I hate them. Murphy loves them. He’s even tried to eat them, twice he was successful. As I was leaving the house on my first day of work at my last job, he puked one up. Not a good start to the day. But even more than eating them, he loves to chase them. So, from the middle of the deck, I throw rocks. Some towards the driveway, then some towards the other side, all the while Murphy thunders across the deck, back and forth, chasing rocks. He doesn’t care about catching them, he just loves the chase. I set Ryan to work on figuring out a way to patch the hole and I escaped to the kitchen. We spent the Easter holiday with his family and I offered to bring dessert. Ryan made a special request for Cranberry Bars and I also made a Jelly Roll. 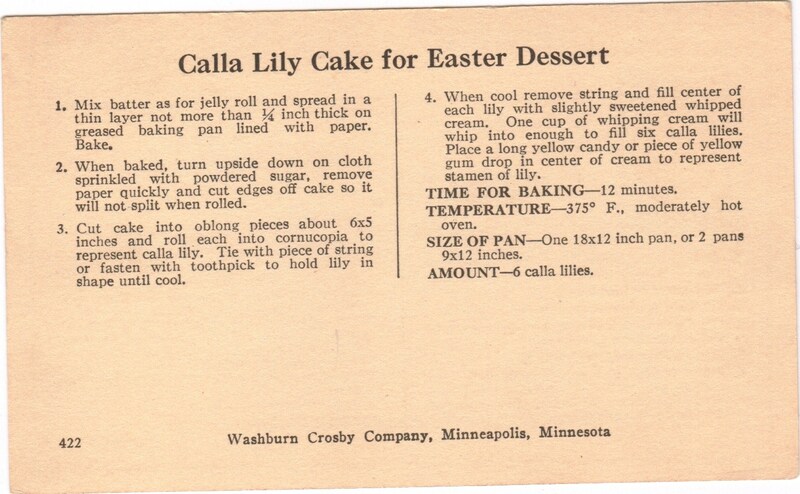 There was a variation on the back of the Jelly Roll card for a Calla Lily Cake for Easter Dessert, but I took a pass on this challenge. I decided that I wanted to use the Whipped Cream/Cream Cheese frosting instead. 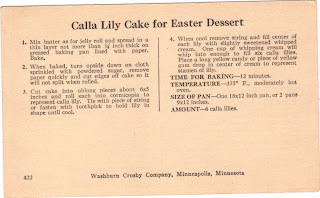 Aside from trying to roll the cake without breaking it, it’s really easy to make and doesn’t require much time (the baking time is only 15 minutes). And here’s a tip: you don’t need to worry about cracks that occur during the rolling process if you frost the cake – it covers them all up! Both desserts were a hit, but I think the Cranberry Bars came out in the lead (if you haven’t tried these yet, I highly recommend them. They keep getting rave reviews! 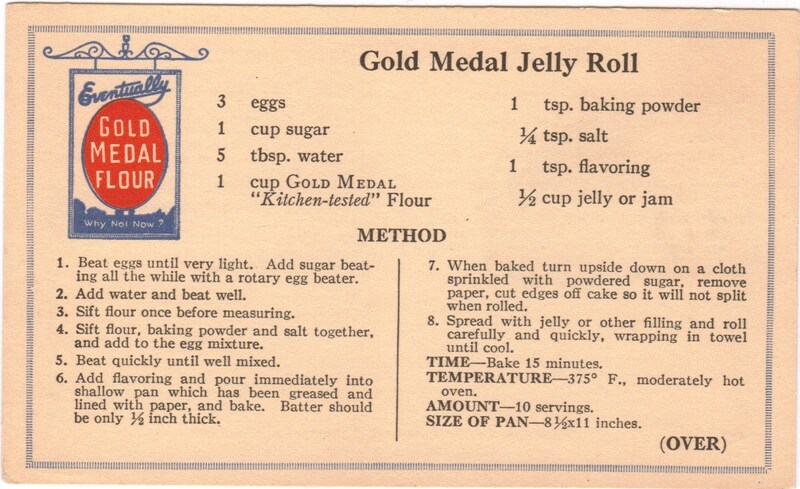 And the author of the card even wrote “very good” in the top corner.). But once the meal had been eaten and desserts devoured, it was time to come home and deal with the avian problem. A small piece of wood wedged under the siding seemed to do the trick – at least until we’re able to get the house re-sided or the Chickadees make friends with a Woodpecker and convince him make an even bigger hole. Now I just need to invest in a tennis ball launcher, customize it to throw the rocks in my backyard and then I’m all set. That would hopefully keep Murphy busy long enough for me fill the holes he dug, cover them with sod and keep them safe until the sod attaches to the existing grass. Hey, I can dream can’t I? Oooooh Molly. 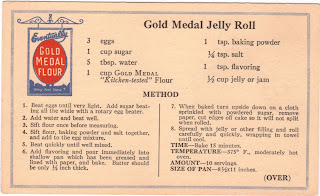 I remember my Grandmother making jelly rolls...and they were always so good! Hmmmm you make me want to stop working and bake things! :-) Happy Wednesday to you!